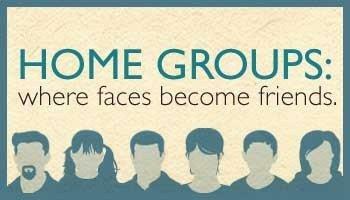 What are Home Groups ? Home Groups are formed of church members and their friends who wish to come together to study God's word and to grow in understanding of being disciples of Jesus. They bring learning, laughter, challenge, celebration, prayer and support as they meet together. Groups meet in church member's homes and are open to all. Their aim is to be warm, loving and un-pressured fellowships where everyone has the opportunity to ask questions, suggest response and share their thoughts based on their own experiences, in a relaxed and comfortable setting. Each Home Group is unique and has its own identity and ways of doing things - no two groups are the same ! What are Home Groups for ? building the body of Christ through shared commitment, intercession and fellowship. Where are they to be found ? Looking to join a Home Group ? For more information on the Home Groups, or if you would to talk to someone about joining a group, please contact Rev. John Gulland by email or by telephone (834548). If you are going to a group for the first time, it is suggested that you phone up beforehand as some groups change their venue from time to time.